Practice owner Marni Miller qualified from the Royal Veterinary College, London in 1995 and has been a Member of the Royal College of Veterinary Surgeons ever since. 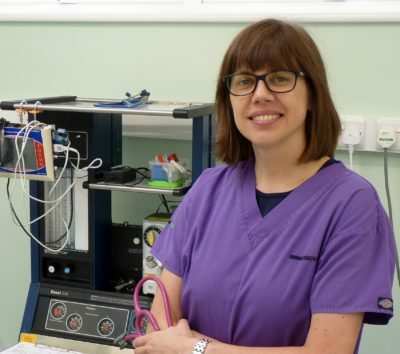 She took over the Animal Health Centre practice in Torquay in 2001 and has continued to expand and improve the business since then, continually adding new staff and equipment. Her main expertise is with small animals / family pets, but has also done some farm and equine work. She has also continued to further her training and knowledge to include small animal surgery. At the age of 5, Marni knew she wanted to be a vet. Perhaps this ambition was influenced by the vet looking after their family dog while they lived in Yorkshire – none other than Alf Wight (aka James Herriot)!